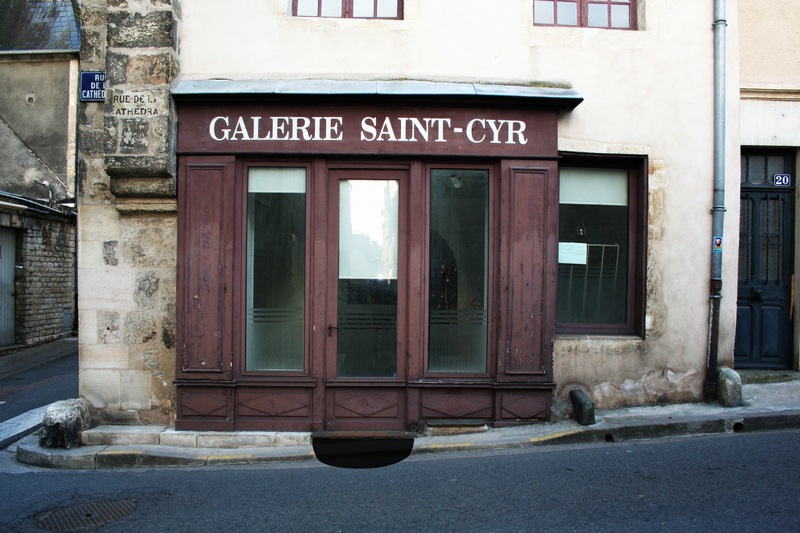 During the month of August 2009, « Arko » Gallery in collaboration with « Parc Saint Léger », a Contemporary Art Center in Burgundy, decided to occupy some stores of the city of Nevers, closed for summer vacancy, to show the work of famous artists as Claude Lévêque, Aurélie Godard and Dominique Blais. We were involved in the project by making a proposition for its communication. 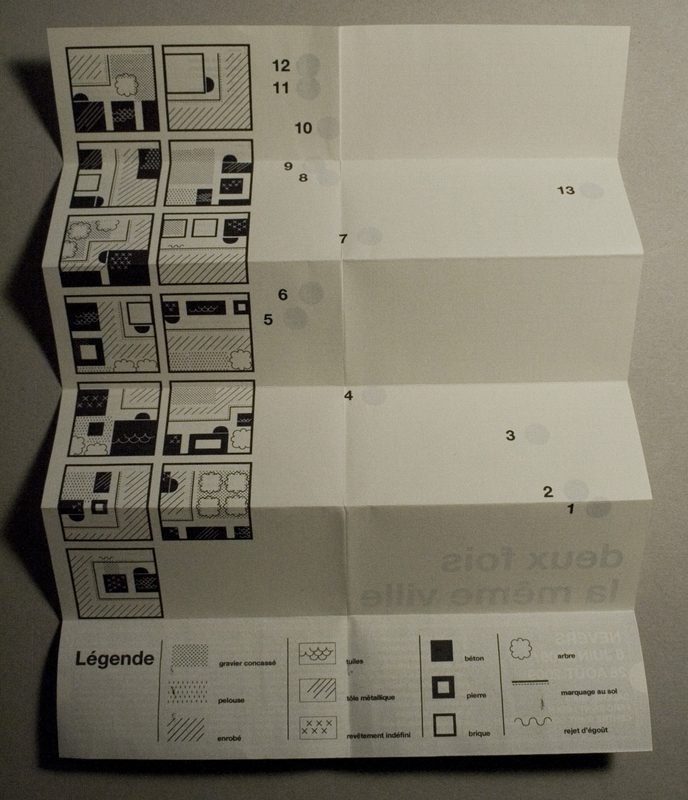 With my colleague Sarah Kremer, we decided to create a document which could help people to find out the different stores/galleries in the city. 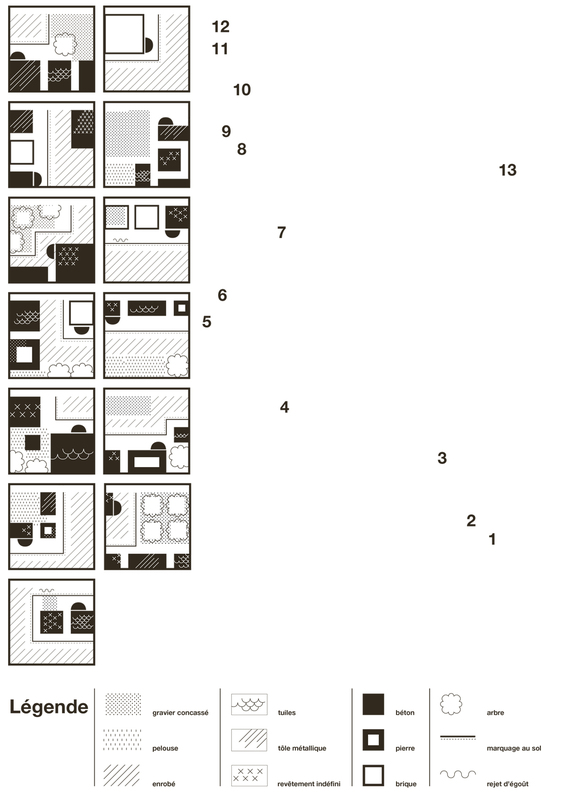 We worked on the duality: 2 visions – 2 views of the space (closeup or overview on the map). 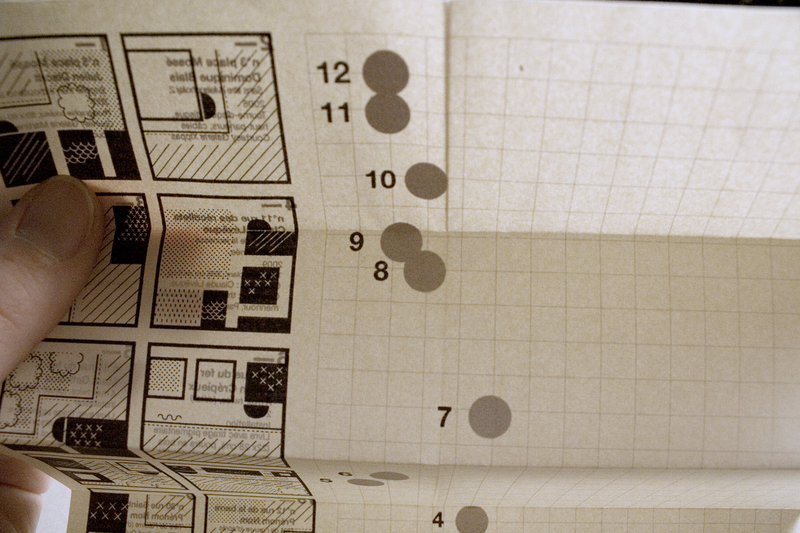 We played with transparency of the paper and we created a graphic language to make an orienteering game for users. 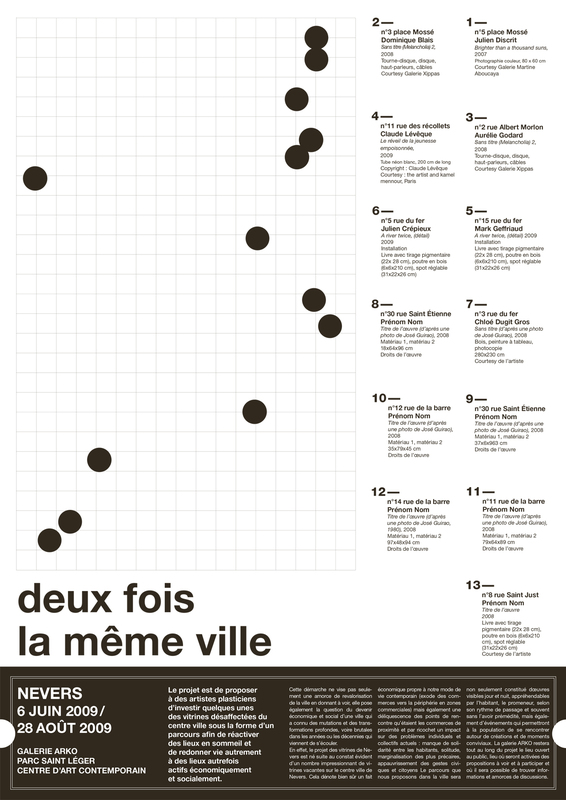 2 x la même ville is a project about closed spaces we reinvest with art to make it accessible to people. 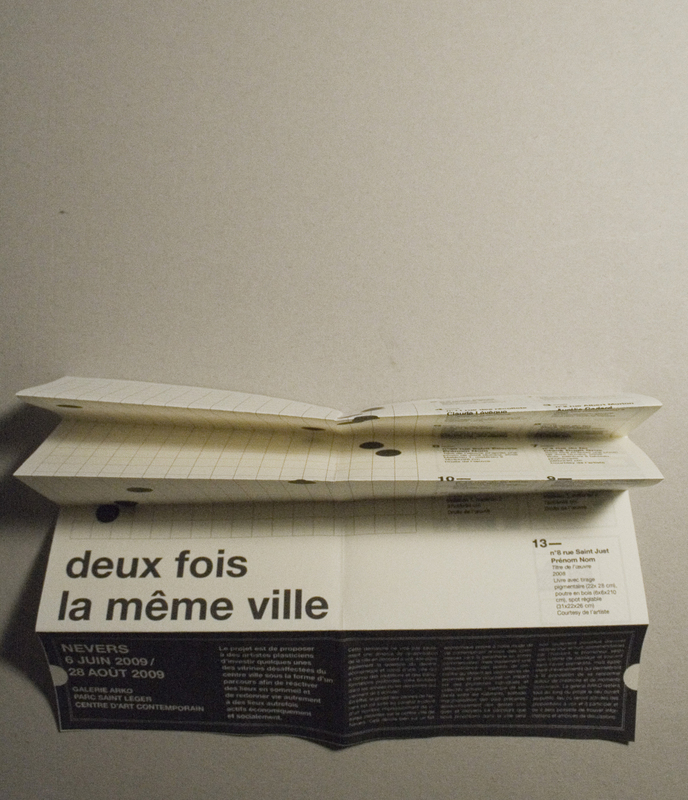 Through this document, we translate the principle of exhibition, of the reflexion on the window by transparency. 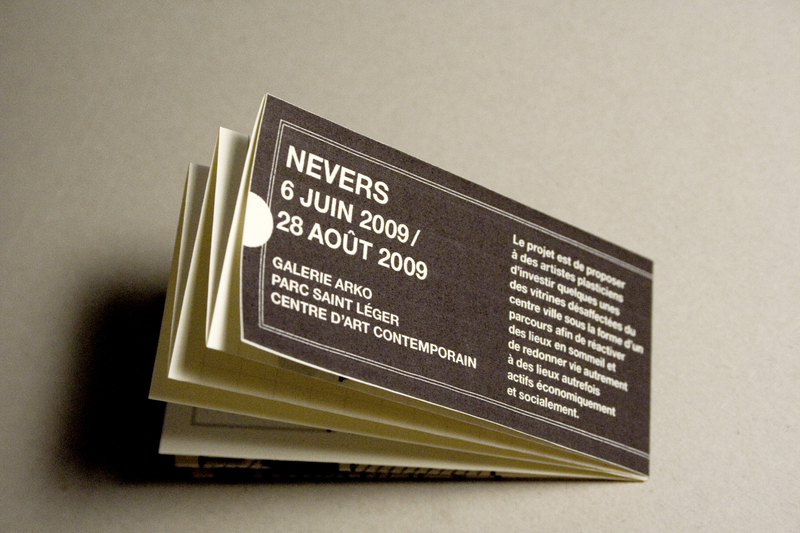 Users open the document as they re-open the store by having a look over the window. 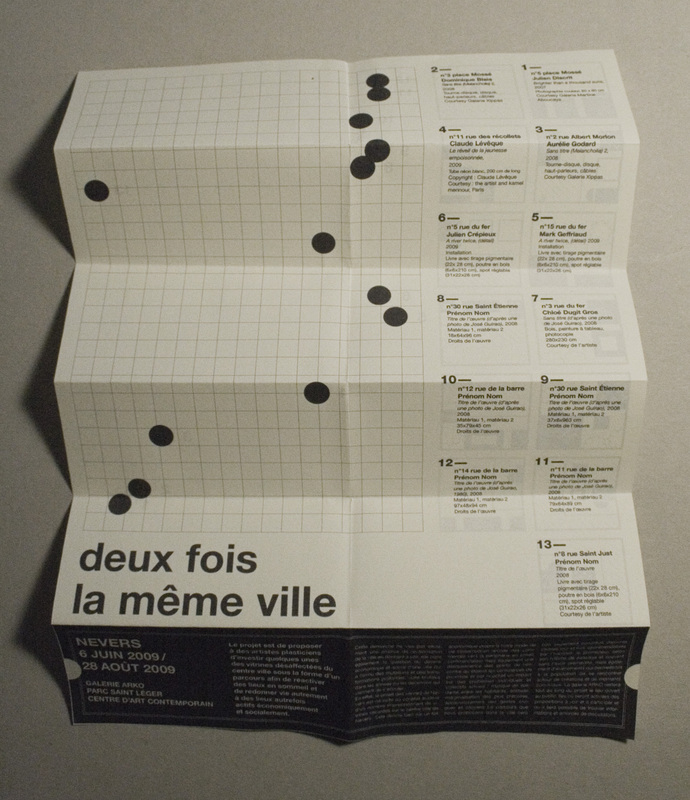 2 x la même ville – curator Géraldine Longueville, project developed by Arko Galerie, Nevers, and « Parc Saint Léger, Hors les Murs », 2009.